Preheat oven to 400 degrees.Line a large baking sheet with parchment paper and sprinkle lightly with gluten-free cornmeal. Place all dry ingredients including chia seed in a large mixing bowl and whisk until thoroughly mixed together. Add stevia, vinegar, olive oil and gradually add water (you may need extra water if it seems a bit too crumbly). Mix on high-speed for 3 to 4 minutes. Scrape the thick dough on to a large clean surface liberally sprinkled with tapioca flour (I mean liberally or it will be too sticky- I also tape down parchment paper to my island). Work enough rice flour into the dough so that it can be shaped into a large ball. With a large knife cut the dough in half to make two medium pizzas or leave as is for one large.The key to shaping this dough is to continue to sprinkle the work surface and the dough with rice flour or it will be too sticky. Shape each piece into a circle making sure to sprinkle enough rice flour on the dough and the work surface to prevent it from sticking. With a rolling-pin shape the dough into circles. Roll thin for New York style pizzas or thick for Chicago deep dish style. Carefully place one prepared pizza crust on baking sheet or pizza stone (see tips) sprinkled with corn meal and bake for about 5 minutes or until the dough is firm. This is called parbaking. Repeat with second pizza. 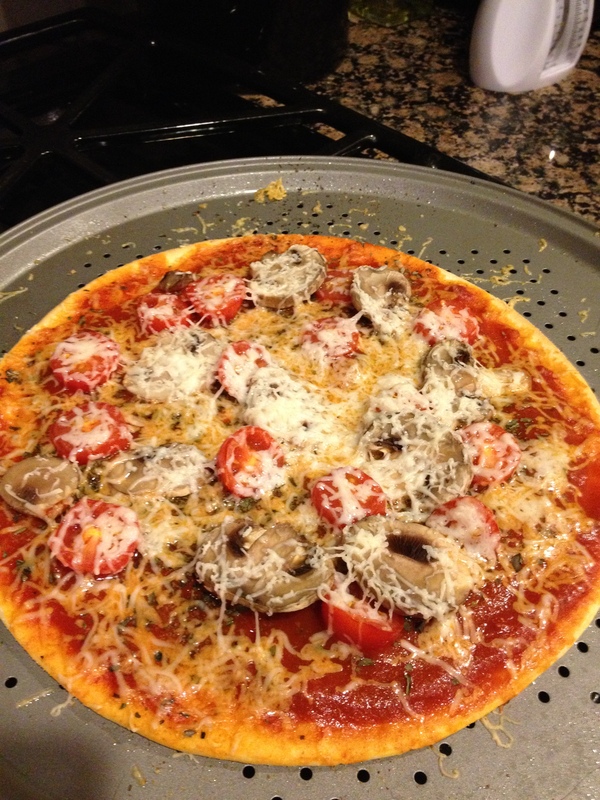 Top pizzas with your favorite ingredients and bake an additional 7-10 minutes or until done. Or cool parbaked crusts, wrap and freeze for convenience. Tip: A pizza stone creates crisp crusts by absorbing moisture in dough. If you like your pizzas crisp consider using a pizza stone. Place your cans of coconut milk in the refrigerator for a minimum of 24 hours. The longer the better. So when you bring them home from the grocery store just tuck two into the ice box for when you need emergency whipped cream. Also, place your bowl and whip into the freezer for at least 3 hours to chill. It’s best to use a balloon whip attachment on your mixer. Once you take your bowl and whip out of the freezer and set up the mixer, do not waste time. You need to keep the equipment cold. Open the cans of coconut milk at the bottom with a bottle opener to drain off the coconut water. You can save this-it is great for smoothies. Open the top of the can all the way and scoop out the thick cream. Start your mixer on low and move up 1 or 2 notches for speed until you get to moderate. As it starts to whip and increase in volume, gradually add in the stevia. 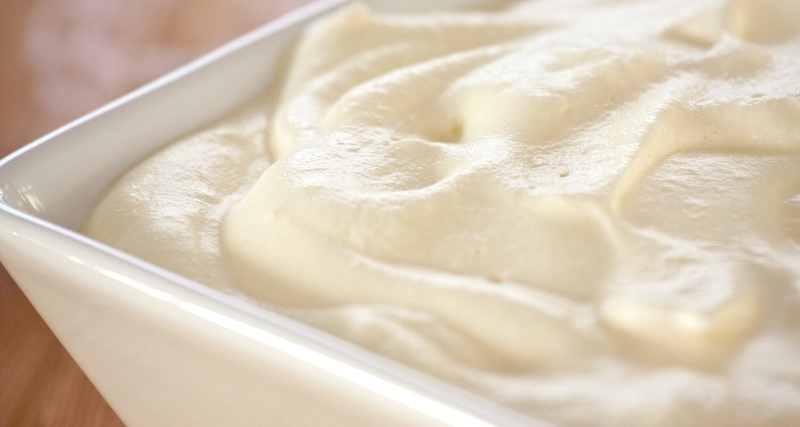 Once it’s mixed and looks fluffy like whipped cream, you are done! Tip- look for the beater to leave light traces on the surface of the cream. In a large bowl; mix all ingredients together. 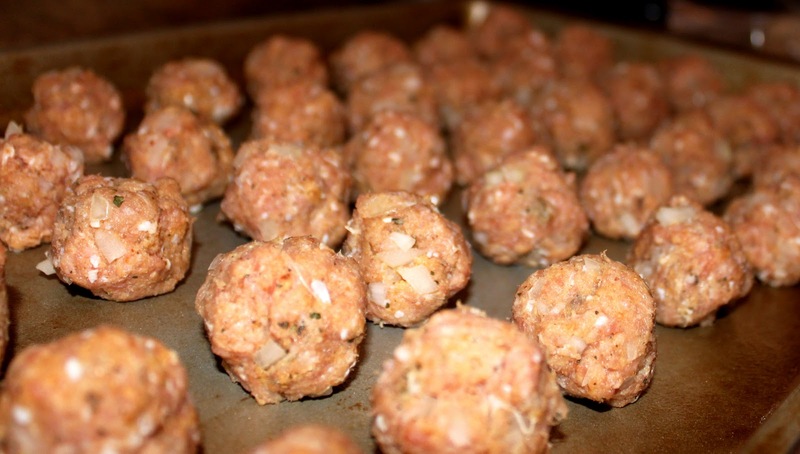 Shape mixture into small to medium sized meatballs. You can freeze some at this point if you want (then thaw out prior to cooking). Bake for 25 minutes. You can also simmer in a pasta sauce for about 40 minutes.